The medical benefits of herbal tea have been practiced in many countries for centuries. The list of herbs that contain healing properties is long but worth the research. In many cases using herbal tea to alleviate symptoms such as headaches, fatigue, hormone imbalances, colds and chest congestion saves a trip to the emergency room and the over use of antibiotics. Many teas now come prepared in tea bags, but for loose teas, there are several options. Add 1 to 2 tablespoons of dried herbs to boiled water that has been removed from the burner. 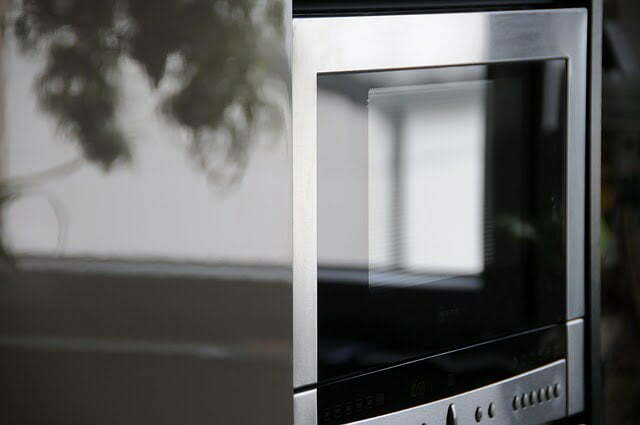 A glass pan is preferred so as not to absorb any metals. 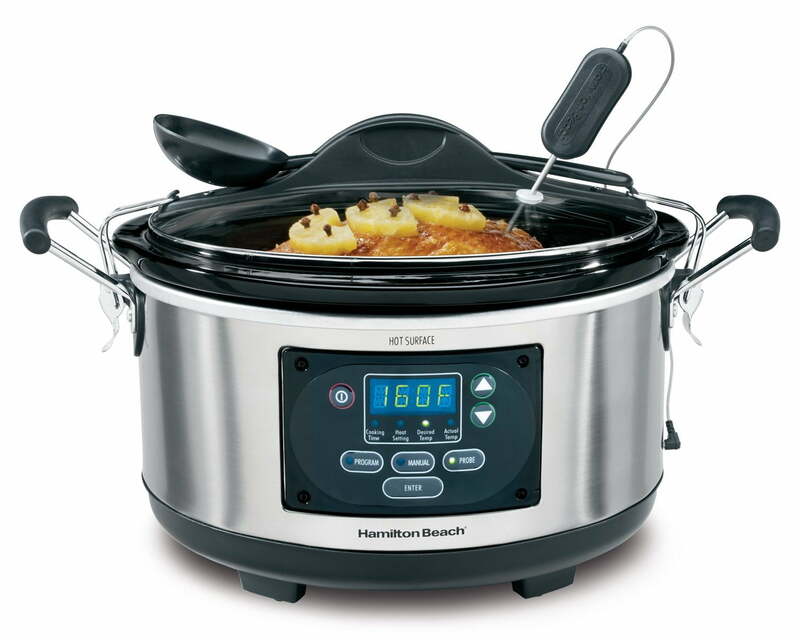 Allow to steep for 10 to 20 minutes then strain and drink, hot or cold. Add pure, organic, unprocessed, unfiltered honey to any tea as a natural sweetener. This type of honey also has many health boosting benefits. Below is a small list of teas that can ease minor symptoms by aiding the body’s own immune system. Find fresh and dried herbs at your local grocery store or a natural food store. Many can be grown right in your backyard, and may already be there. 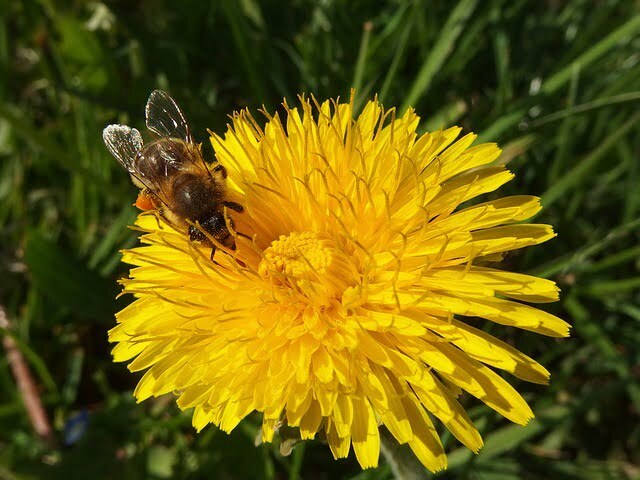 Several teas such as burdock, dandelion root, and peppermint grow naturally and need only to be harvested, dried and stored. Others can be planted and depend on the zone you live in. When harvesting roots, always research the method for that particular plant and be 100% sure you have correctly identified the plant. Store roots, flowers, and leaves, after drying, in clean jars with lids and store in cool, dark cupboards. Dried herbs will last up to one year. 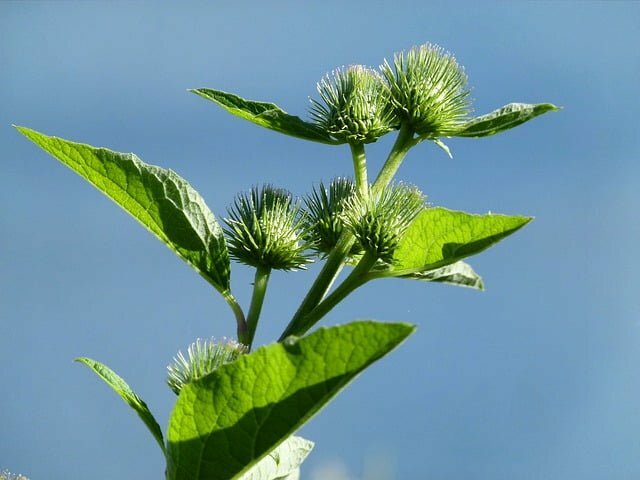 Meskwaki Indians used Burdock root to ease labor pains, while American Indians used it for treatment of cancer. It is a long term immune strengthener and helps chronic fatigue. Is also good for skin and is a general blood strengthener and tonic, with nutrients like iron, calcium, magnesium, potassium, protein, vitamins C and B2. Use with Dandelion Root to enhance healing properties. 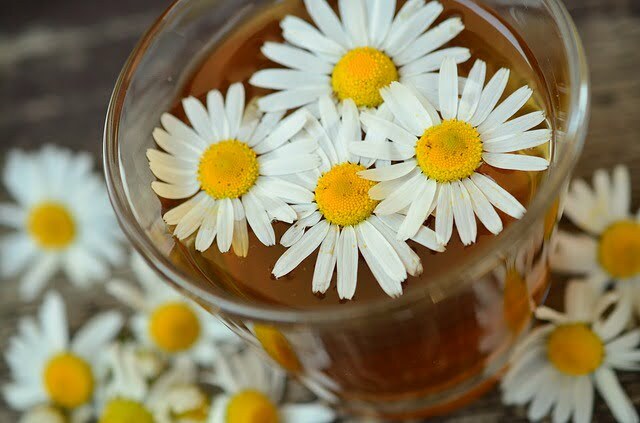 Known for it’s calming effect on the stomach and nerves, chamomile is also excellent for sleep and is chemical free! Works wonders on cramps and bloating, nervousness, insomnia, and stress. Can be grown in a garden and harvested by cutting flower heads just before blooming. Wake up feeling rested and peaceful without the side effects. A very bitter tea but worth it if you are suffering from PMS, menopause, skin problems or digestion issues. It purifies the blood and tones the liver as well. Combine with Burdock Root for enhanced benefits. Both roots can be harvested, bought prepared in tea bags or in loose form. Add extra honey to offset bitterness, and drink hot or cold. One cup daily will help clear up skin problems. 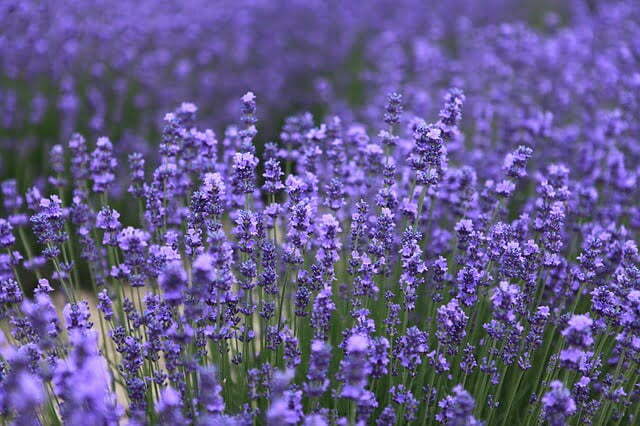 The flowers of lavender in tea form can be used topically as well for easing burns and skin abrasions. This tea is used to relax muscles and nerves while assisting the growth of healthy skin cells. It is sleep enducing and pain relieving. 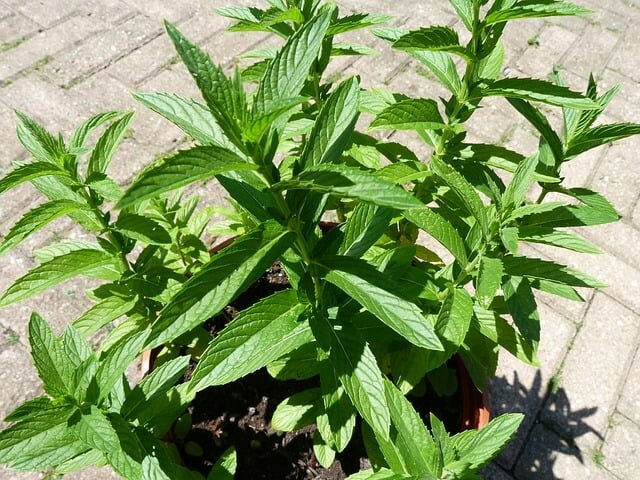 The flavor is pleasant and combined with peppermint makes a delicious summer tea. Calming to digestion and digestive tract, a great tonic for colds and congestion, it also helps mind focus and become more alert. It offers high amounts of minerals such as magnesium, vitamin A, iron, calcium, potassium, protein and vitamin C. Can be combined with other teas to add nutrition and ward off bitterness. Nothing works better at soothing a sore throat, sinus or chest congestion. Steeped in boiled water and drained, the leaves and stems of the plant are antifungal, antiviral, antibacterial and a natural germicide. 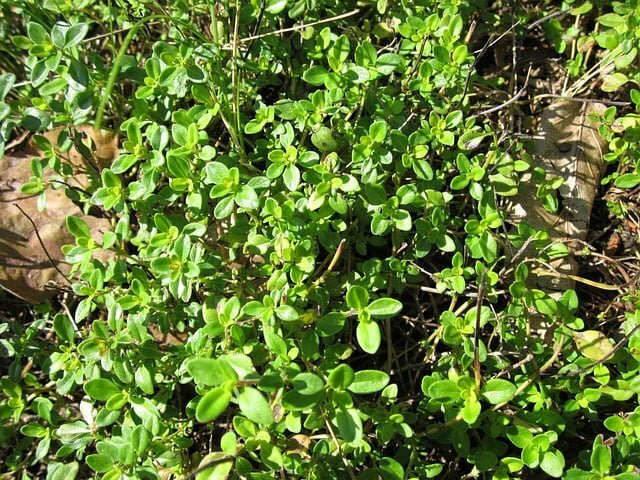 Thyme is a common herb added to many dishes and can be grown in a pot on your window sill. Cut and dry entire stem for future use. Over-use of any herbal tea or remedy is not recommended. Three cups a day is the amount preferred for correct moderation.